Let’s face it, for most people, designing, decorating and adding a particular scheme to a compact home presents plenty of stylistic challenges, trials, and tricky tasks. To provide you with a few handy hints and terrific tips, we’ve collated 9 small homes that are simply bursting with colour. Adding a dash of colour within a minute or minuscule home can be complicated, but with a little motivation and encouragement, you can greatly improve your abode’s overall aesthetic. Whether you are looking to incorporate gorgeous greens, glittering golds, or ravishing reds, you will definitely find some inspiration in the great designs below! 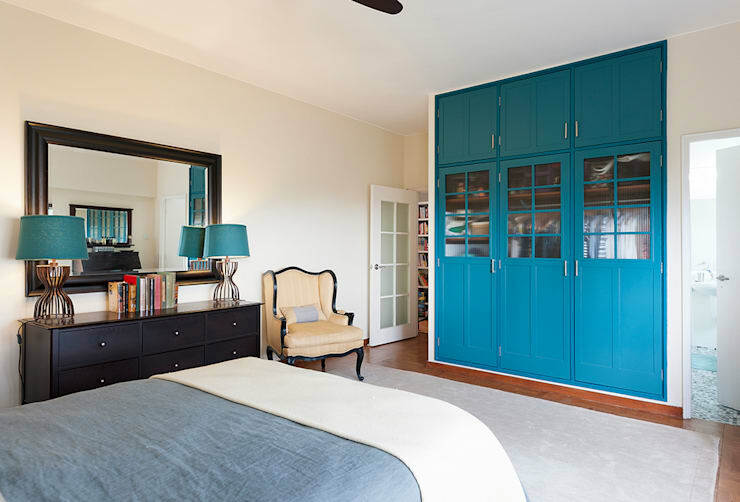 So, read on to learn more, and inject some vivid hues into your home today. Painting seems simple enough, and refurbishing your wardrobes is an easy DIY task which can be completed in a weekend. Better yet, you will totally transform you interior space, and take it from forgettable to fabulous! This colourful and vivacious home is another brilliant example of how to implement vivid hues simply and unobtrusively. Focus on one wall of your room (in this instance the bed facing wall was used), and paint or cover with an interesting motif or colour. 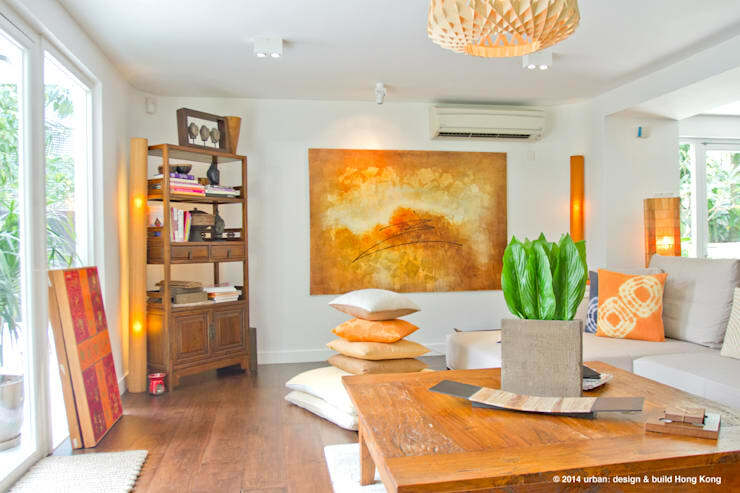 One of my personal favourites, this gorgeous abode in Hong Kong’s Greenfield Villas estate takes one bright golden orange hue and incorporates it in every possible way. However, the resulting space isn’t overwhelming, but rather a harmonious and happy house, which bursts with energy and serenity. In small homes, it can be difficult knowing where and when to incorporate colour, and what to leave neutral. 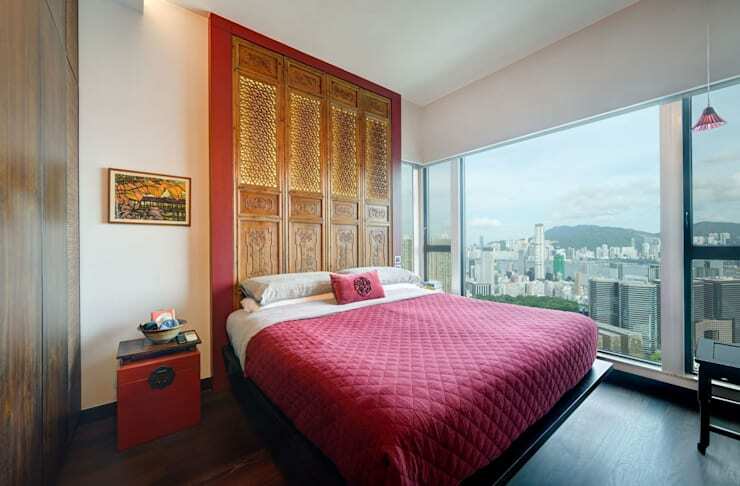 This bedroom is a good example for you to take some cues. 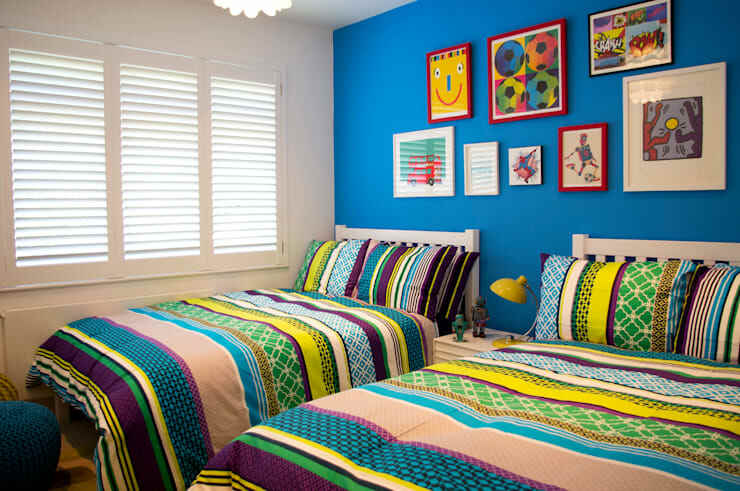 The wall colour is bright and lively, matched with a gallery or salon-style wall or art, and striped bed linen. 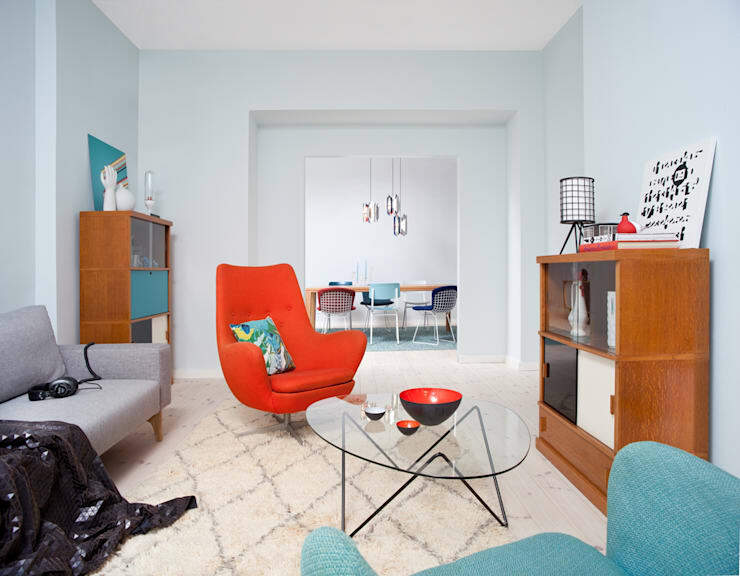 Who says you can’t combine different factors and design elements to create the ultimate in colourful and lively interior styles? This gorgeous example takes an eclectic range of patterns and prints to bring a feeling of uniqueness and individuality to the room. When decorating your small home, picking a few favourite hues can greatly improve your chances of creating an enjoyable space. You should look at possibly 3-4 shades of a colour, and work them into your design. 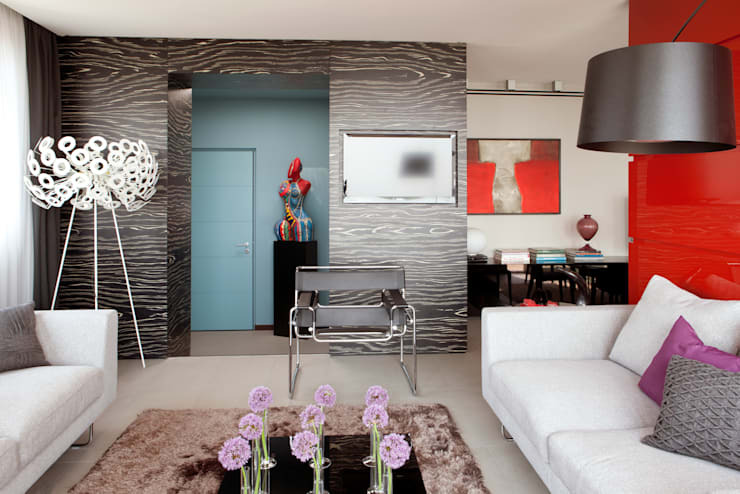 This room boasts earthy greys, white, dusty blue and red to enliven and enhance this compact dwelling. 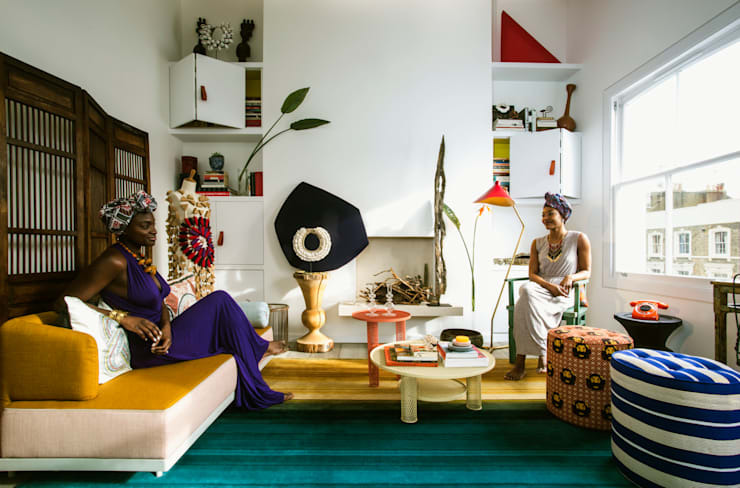 We absolutely adore this room, where designers have created a simple yet effective aesthetic, bringing together retro furniture and African textiles. The gorgeous patterns and vivid hues impart character and charm within the space, ensuring the home is anything but boring. 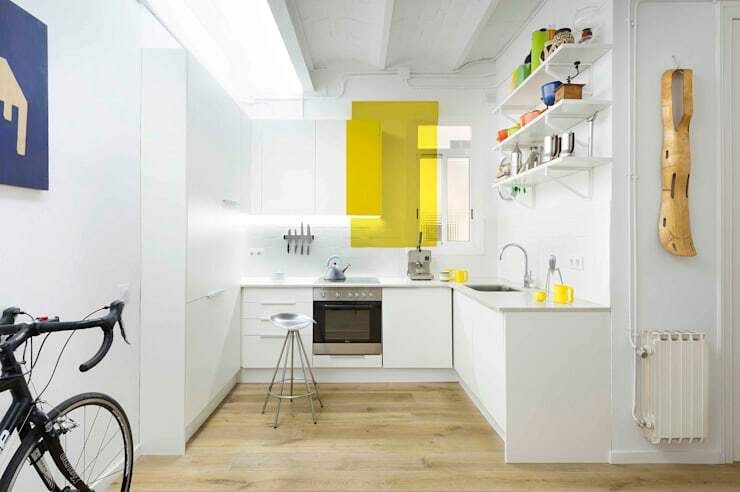 Want to give your compact kitchen a dash of style? Take a look at this marvellous design, which effortlessly includes bright yellow tones to impart class and sophistication, with a playful and cheery overtone. When adding a burst of brightness and colour to your small home, look no further than a statement armchair or piece of furniture. Simple, effective, and wonderfully able to instantly enhance your room, a bright upholstered chair is all you need to create an eye-catching and impressive aesthetic. Want to learn more about interior design? Check out: 9 creative bathroom storage ideas you'll love and continue reading! What is your favourite, go-to decorating hue?